Fun for a great cause supporting Toys for Tots and Vanessa Behan Crisis Nursery! WMFHA's Eastern Washington Chili Cook-Off is fun for the whole family! Featuring a chili competition, a kid's zone with games and movies, fabulous raffle items - this is a day of fun and festivities that supports two noble causes. In addition to chili sampling, we offer hot dogs and beverages. Competitors will be dressing up as their favorite movie themes, so come for some cinema fun! We look forward to our Eastern Washington Chili Cook-Off Charity Event in 2019. 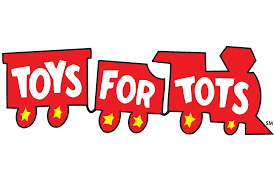 Toys for Tots exists to deliver, through a new toy at Christmas, a message of hope to less fortunate youngsters that will assist them in becoming responsible, productive, patriotic citizens. Vanessa Behan Crisis Nursery provides safety for children, strengthens families and creates a healthier community in an environment of unconditional love.